Sited in a rolling meadow in Markham, VA, in the foothills of the Blue Ridge Mountains, this project reflects an extensive renovation of a 1970's house. The original structure, a series of dark gabled pieces, ignored this gracious rural site, offering little connection and no views to the surrounding landscape. Our design sought to connect inside & out - visually & spatially. 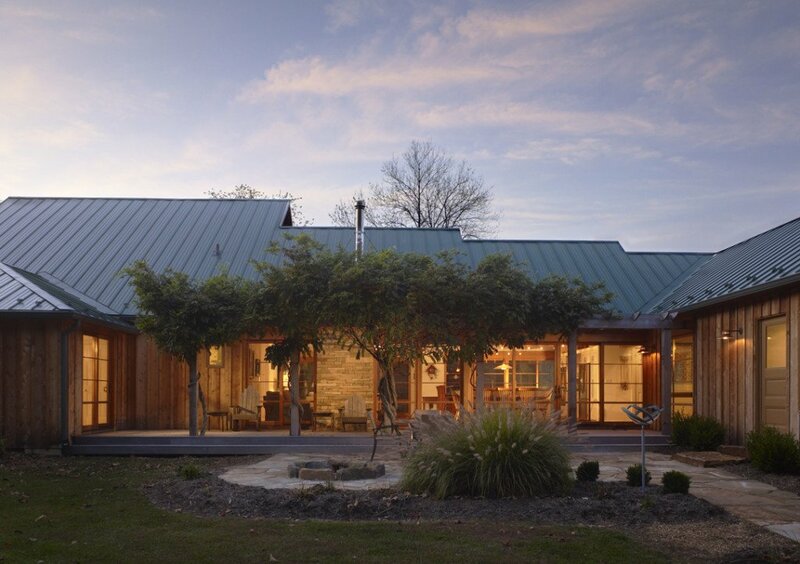 We developed the main living areas -kitchen, dining-room & living-room - as a single covered "open air" pavilion; glazed on either side and connecting to a porch and pergola to the South and a wrap-around deck to the North and West. A large planter, designed to eliminate the need for railings, surrounds the deck and allows an uninterrupted view of the meadow.